We spent over a year teaching English in a small city in China and we loved it. There were times when teaching English felt like the most exhausting job we had, but we always loved spending time with our students and helping them learn. We get a lot of emails from people wondering how to get started teaching English and what life is like as an English teacher. Once you get your TEFL Certificate from a trustworthy TEFL Administrator, all you have to do is apply for a job! 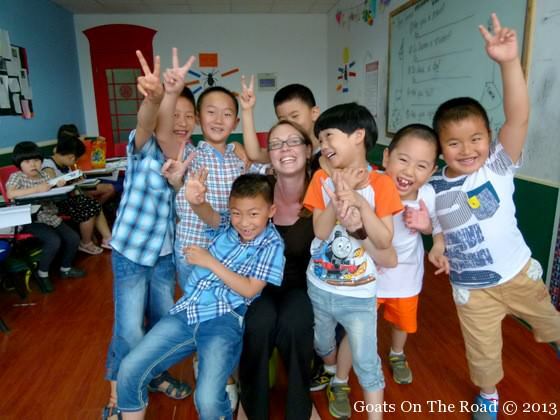 But what is it like being an English teacher in China? This article will give you a better idea of what life is like teaching English in this unique and interesting country. Our contract stated that we were to work a maximum of 20 hours / week, but in reality we averaged just 18 hours. On top of this time we also had to spend about a half hour / class for lesson prep which added up to about 2-3 more hours / week. Working so few hours really allowed us to explore our small city of Yangzhou and spend time doing what we enjoyed, like hanging out with friends and eating delicious Chinese food! The best part of our teaching schedule was that most of the hours were on Saturdays and Sundays, which left the weekdays virtually free! We only had a couple of 1.5 hour classes during the week. If you're interested in becoming a teacher in China, one of the best parts of the lifestyle is having free time to do what you want. 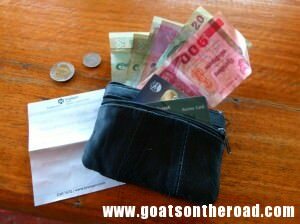 We were paid a monthly salary of 8000 RMB ($1300 USD) plus a housing allowance of 800 RMB ($130 USD). That may not sound like much, but as a couple, the housing allowance nearly covered our modern, 80 m2 (860 ft²) 1 bedroom apartment, and the living expenses were so low in China that our wage allowed us to save over $20,000 USD in a year! 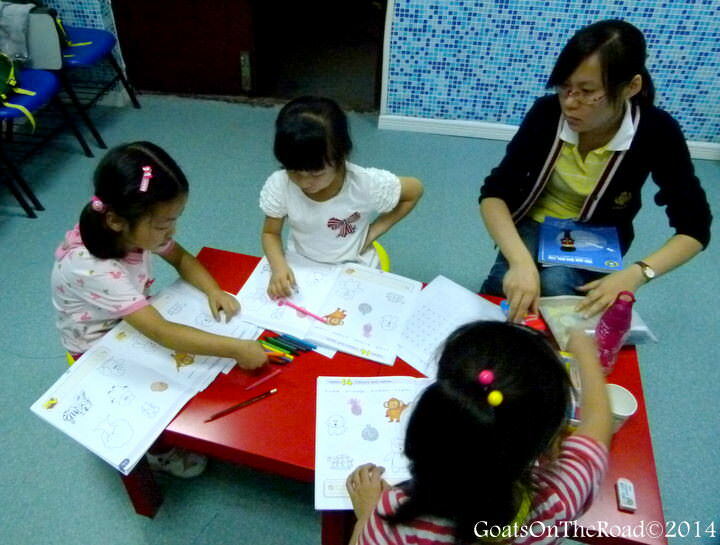 8,000 RMB is an average wage for teaching in China but some schools offer much more. It wouldn't be difficult to find a job for 10,000 RMB and if you have a degree in teaching, expect to double or triple this figure. Our contract also included a flight allowance of $700 USD and a contract completion bonus of $350, to be paid out at the end of the year. We also had numerous retention bonuses (for retaining a certain number of students) that really added up over the year. China was a pretty fun place to live. 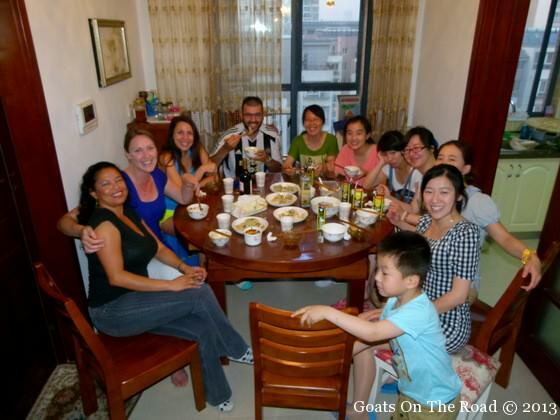 We lived in a small city (5 million people) called Yangzhou and it was delightfully Chinese. The local people were always excited to see a foreigner and because there were so few tourists in the area, they always assumed that we were teachers (which is a respected position in China). We would spend our days hanging out in the parks with our friends, going for bike rides, having barbecues, making dumplings, or swimming in our friend's pool. We made some great connections with both our foreign colleagues and the Chinese staff. We learned a lot about the unique Chinese culture and we were welcomed by everyone that we met. We absolutely loved our students. Even on days when we were exhausted and didn't feel like being at the school, it would only take one minute with a kindergarten class, or a funny remark in a grade 5 class to remind us how much we loved teaching our students. The lessons include a lot of repetition to allow the students to memorize the words, but after they had completed the drills and practice, we were able to play some language games to incorporate fun into the learning process. This really gave us a chance to connect with our students and laugh with them in class. I once taught in front of 500 people! Click here to watch the video! 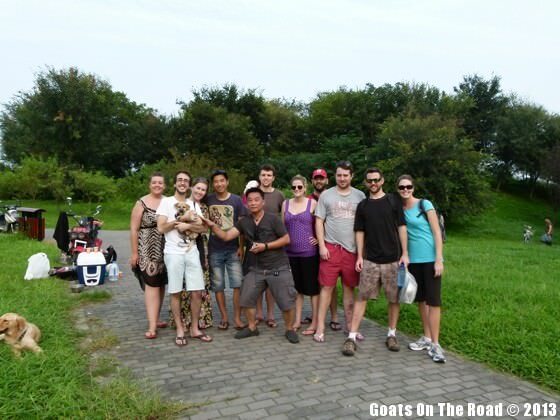 Teaching English is a great way to experience living abroad, while immersing yourself deeper in the local culture. These days, China has so many jobs that it is really easy for potential teachers to find work. Our life in China was very comfortable and we had a lot of fun living there. We highly recommend teaching English in China as a way to extend your trip, save for travel or even as a career! The hardest part of the job was having to say goodbye to our friends and students. If you have any questions about teaching English, please don't hesitate to contact me. I can help answer FAQ's about the job, find a reputable accredited TEFL course, pick a location to teach and even find help you find a teaching job anywhere in the world... and I'll do it all for free... That's how much I loved teaching in China!